An Angel came to take David G. Pelletier Home to his Mother on Monday, November 19, 2018. He was 55 years old. Dave was born in Waterbury on July 9, 1963, son of Laurier Pelletier Sr., and the late Eglantine (Beaulieu) Pelletier. Dave retired as a correctional officer and previously worked at Wolcott View Manor, where he played Santa every Christmas for the patients. He was currently working at Wolcott High School as a Security guard. 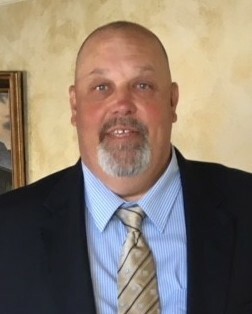 He was the Coach for freshman baseball at the High School for 19 years, coached football and basketball, and was Leader of the Unified Sports team. He was also Coach at the BAW for 36 years; 25 of those years as Head Coach of the Roberto Clemente team. Coach Dave loved all of the kids he worked with. He received many awards from many different organizations, and the Wolcott BAW named the ball field in his honor. He was also the Director of the Woodtick Recreational Area; and made sure the beach and picnic areas were always ready. Dave loved coaching baseball and loved being with his family. Dave’s memory will be cherished by his father, Laurier Pelletier Sr., and his wife Elizabeth; his older brother and best friend, Laurier “Larry” Pelletier Jr., and his girlfriend, Bernise Nadeau, of Wolcott; his older sister, Lucie Pelletier Hanson, of Myrtle Beach, SC, who shares the same birthday 6 years apart, and shared the same home for 20 years; his nieces and nephews, Kevin Pelletier, and his wife, Beth; Christine Pelletier, and her boyfriend, Antonio “Anthony” Seanez; and Richard “Ricky” Hanson Jr., who resided with Dave most of his life, and Ricky’s wife, Amanda; his great nieces and nephews, Ashley; James; Antonio “Max”; and Mila; his cherished dog, Jack; and other beloved extended family and friends. He was predeceased by his mother, Eglantine Pelletier. Calling hours will be held on Friday, November 23 from 4:00 p.m. to 7:00 p.m. at St. Pius X Church, 525 Woodtick Road, Wolcott. Buses will shuttle from Woodtick Memorial, Frisbee School, Woodtick Recreation, and Wolcott High School parking lots to St. Pius Church. Funeral Mass will be held on Saturday, November 24 at 10:00 a.m. Please meet directly at church. Burial will be held at a later date. In lieu of flowers, memorial contributions may be made in Dave’s name to Wolcott Individuals with Special Needs c/o Wolcott Town Hall, 10 Kenea Ave. Wolcott, CT 06716 or the Wolcott Food Pantry, 358 Woodtick Road, Wolcott, CT 06716.